Loneliness has long been recognized as being bad for a person's mental health, but research is now showing it can also be physically harmful. "We know now it not only affects their quality of life, but the length of it too," says Ami Rokach, a psychologist at Toronto's York University who has studied loneliness for more than 30 years. Beyond causing heightened rates of depression, anxiety and irritability, loneliness is now being associated with potentially life-shortening health issues such as higher blood pressure, heart disease and obesity. Some experts have gone as far as to argue that being lonely for a prolonged period of time is more harmful to a person's health than smoking 15 cigarettes a day. Rokach adds that the associated stigma often prevents those experiencing intense loneliness from seeking help. "People think if they admit they are lonely it means people don't want to be with them." It's a global problem. In the U.K., the situation has become so pressing the government there has appointed a loneliness minister to tackle the issue. In Canada, studies have found that one in five Canadians identify as being lonely. Part of the issue is that more and more Canadians are living alone — 28 per cent of households, according to recent numbers by Statistics Canada. Higher rates of divorce, stronger dependence on technology and sprawling urbanization have also been been credited as contributing factors to loneliness. But regardless of the reasons why it occurs, the consensus is that it's happening and the results are damaging. There are also different ways to address it. The National spoke to several Canadians about the impact loneliness has had on their lives, and the strategies they've developed to deal with it. Marci O'Connor, 47, is recently divorced and works as a freelance writer. She lives in Montreal with her two sons when they aren't with their father. O'Connor is the last person many would think of as lonely. Her social life is full. She works in a busy office with co-workers she likes. And she has friends and family she regularly visits in Toronto. Yet she has experienced such intense feelings of loneliness that she's sought counselling. "I think it's probably always been there," she says. "It's just a matter of not feeling connected enough to people in those ways where I could reach out for help or support or whatever it may be." She says throughout that period, even surrounded by people, there were times when she felt familiar pangs of emotion. Not until recently, though, has O'Connor managed to put a name to what she was feeling and talk about it openly. "I guess it's a shameful feeling," she explains. "I'm not alone. I have my mom and my brother, who I'm close with, and I have my kids who I spend as much time as possible with. So I think I almost felt, like, where did that feeling come from and what does it say about these other relationships I have with people? That in spite of having them in my life, I feel lonely?" After O'Connor and her husband separated, she says the isolation she felt was overwhelming. "I just felt so alone and so vulnerable," she says. "I was drowning at first, and that's probably a normal feeling for the time, but instead of reaching out, I just pushed back. I just went my own way. I was just so busy trying to survive or tread water that I couldn't reach out to people." When she was finally ready to reach out, O'Connor says many of her friendships had disappeared, That's when she started working hard to find ways to fight her feelings of loneliness. She joined a gym and signed up for group fitness classes rather than hiking by herself as she used to. She started taking her dog to an off-leash dog park where she could mingle with other dog owners, rather than going for long walks alone. She also turned to therapy. She says talking with someone about how she was feeling changed how she thought about loneliness. "We're not used to talking about it," O'Connor says. "We're not used to using that word and if you do there is a stigma … if I was to talk about grief people would nod and understand and sympathize, but loneliness is just this horrible word still." O'Connor has now learned to allow her loneliness to guide her to new possibilities. Last year, she even applied to the navy in an attempt to find a community she could call her own. Though she ultimately didn't make the cut, she says the experience pushed her out of her comfort zone and showed her that she can use her emotions as a motivator to improve her life. "I can't change the loneliness, but the choice I have is just to sort of breathe and accept it and say 'OK, what can I do now — it's there, what can I do now?" Loneliness does not discriminate by age. Researchers have shown it affects people in all demographics. However, recent census data shows 25 per cent of seniors live alone, and loneliness does hit this demographic particularly hard. In seniors, loneliness has been linked to dementia, social isolation and a shortened lifespan. 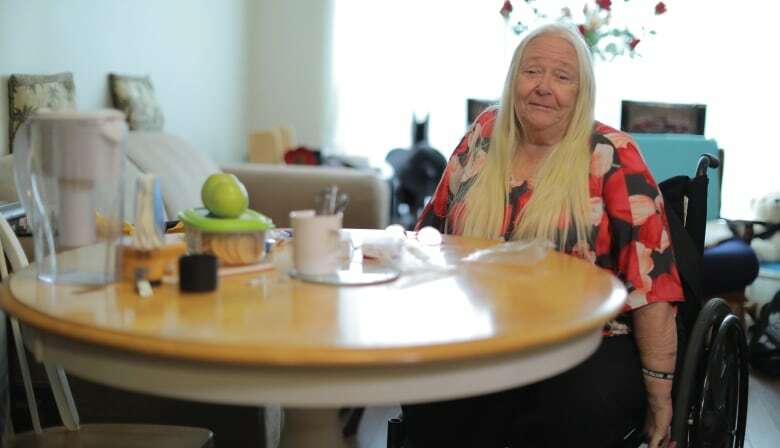 Melvina Alderson, 73, lives alone in Brampton, Ont. She has family nearby, but often spends her days alone and finds the silence so difficult that she works hard to mask it. "I'll turn music on. I usually have music on all the time," she says. "It's like you're not alone, because you've got voices and singing and it's one of the best ways to get rid of depression." In addition to having music blaring in her one-bedroom apartment practically around the clock, Alderson also goes to great lengths to ensure that she's rarely alone. She volunteers for her local legion branch several times a week and helps with things like staffing the branch's poppy stand at the mall near her home, putting in eight hour days in the weeks leading up to Remembrance Day. "Oh, the busier I am the better I am, and the happier I am, because I'm not sitting around doing nothing," she explains. On the days Alderson isn't volunteering for the legion, she runs the food bank program at her building, sorting through dozens of pounds of food donated through The Knight's Table and doling it out to residents who need it. Alderson also signed up for a program called Keeping Connected that pairs volunteers with seniors for weekly check-in phone calls. Alderson gets her calls on Thursday mornings and says they go a long way to helping her cope with being alone. "Every Thursday I look forward to that phone call," she says. "It's a connection, and when you find a connection like that it's great because you're not lonely." Even with all her coping strategies, though, Alderson admits the loneliness doesn't always abate. "It comes in different waves, it's not always all the time," she says. "Sometimes it feels like no one cares, but when I feel that way it's time to pull up my socks and go and do something where someone appreciates what I'm doing. But, yeah, it can be devastating, especially if it's a long period of time or at special times of the year." Homestead Public School in Brampton, Ont., prides itself on going further than most schools in making sure its students feel welcome and supported. It's a big school, with more than 800 students and a large immigrant population. It has a newcomers club and a recess buddy program. And it recently made an addition educators hope will help new kids feel less lonely when they arrive. "One of our ideas to help kids was pursuing a friendship bench," says Angelo Cariati, the school's vice-principal. "It's tangible, it's proactive and the children can go there if they need a friend or somebody to talk to." The bench sits in the school's atrium. The idea is that kids who are feeling lonely or upset sit on it, and that act alone is an invitation for someone else to sit down beside them and strike up a conversation. Already, Cariati has heard of several instances where exactly that has happened. One day last month, right before recess, Fifth Grader Sukhkaran Pandher says he sat on the bench — and what happened next was amazing. Within minutes a girl sat down beside him and asked him what was wrong and why he was alone. Pandher was lonely and was also being bullied by an older student. "I didn't tell anyone," he says. "I just kept it to myself." But the bench changed that. "Now there was this girl sitting here and she was nice … I told her everything." Cariati says this incident is exactly why his school pushed so hard to get the bench, a process that included a fundraising initiative. "You couldn't have planned that," he says. "It's a child who instantly felt a connection with what came out of the bench, so now I know as an educator 'wow that's great, we do have a tool there.'" Cariati adds that now he can follow up to make sure Pandher is "going home feeling safe and coming back to school feeling safe." Cariati is well aware of the impact of children feeling lonely at school, including how it leads to low self esteem and children taking fewer risks. He says his school is committed to making sure issues like these get dealt with head-on. For his part, Pandher says he now feels he has somewhere to turn to that he didn't before. "It's really nice, and it's a good thing that I can have somewhere to share my problems with someone," he says.